I’m Rebecca and I’ll be reviewing some books for you! I will be reading a variety of novels (classic and modern) so if you like reading keep watch and see what comes about. Hope you enjoy. 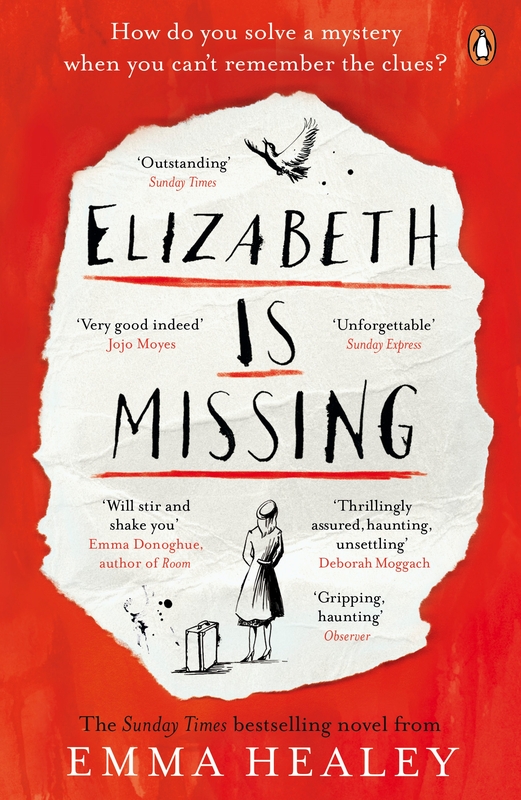 First off, we have winner of the Costa Prize 2014, Elizabeth is Missing. This debut novel by Emma Healey was a triumph after missing out on the Booker Prize in 2014, and with a 6-figure sum publishing deal, you have to wonder what the fuss is all about. Does it deserve all the praise? Healey takes on a challenge with this first person story, which is told from the perspective of elderly woman Maud who suffers with dementia. And I say she does it brilliantly. Everything is explored intricately and effectively, showing both how Maud reacts to her world, and how her family react to her. Throughout the novel you see her condition reveal itself, yet the broken narrative never gets tired. It must have been extremely difficult as a writer to balance. The story follows Maud who wants to find out what has happened to her friend Elizabeth when she goes missing. While she is solving this mystery, she is constantly forgetting what she is looking for just moments after. She writes notes to remind herself, but even the notes get confused and misplaced leading to more confusion. Alongside this, the disappearance of the illusive Elizabeth also has connections with Maud’s past with a long unsolved case when her sister left and never returned home. The book follows her journey discovering what happened to her beloved sister, and Maud’s family as they try to cope with her condition. It is a touching mystery that keeps you wondering and marvelling at how unique this character’s perspective is. All this in a first novel is especially brilliant. Emma Healey is certainly one to watch for the future.